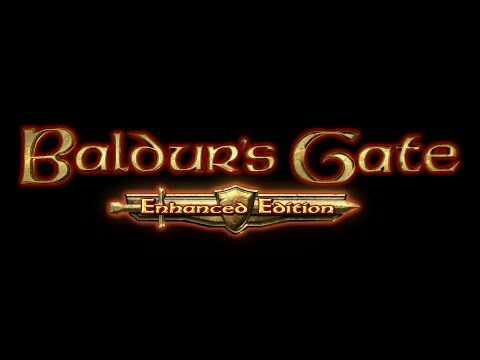 Baldur's Gate: Enhanced Edition - Buy and download the game here! Since its initial release in 1998, Baldur's Gate has entertained millions of fans around the globe and has received countless awards. This classic saga of mystery, intrigue, and adventure has set the standard for Dungeons & Dragons™ computer roleplaying games ever since. © 2012 Overhaul Games, a division of Beamdog. © 2012 Hasbro, Inc. All Rights Reserved. Baldur's Gate, Dungeons & Dragons, D&D, the Forgotten Realms, Baldur's Gate, Wizards of the Coast and their logos are trademarks of Wizards of the Coast LLC in the U.S.A. and other countries, and are used with permission. Hasbro and its logo are trademarks of Hasbro, Inc. and are used with permission. © 1998 BioWare Corp. All Rights Reserved. BioWare, the BioWare Infinity Engine and the BioWare logo are trademarks of Bioware Corp. Black Isle Studios and the Black Isle Studios logo are trademarks of Interplay Entertainment Corp. Atari and the Atari logo are trademarks owned by Atari Interactive, Inc. All other trademarks are the property of their respective owners.